In the year 2217 Humanity's greatest achievement is the colonization of the nearby star systems now known as the Seven Worlds. Here Humanity lives, thrives, and prepares the next great wave of space exploration. The Seven Worlds. This is the story of how we lost them, and of the heroes who tried to avert their fall. An Epic Science-Fiction Setting and Campaign for Savage Worlds! Take the role of heroes in an epic campaign reminiscent of the classic arcs of the greatest space opera TV shows and novels! weaponry with the easy and quick rules of Savage Worlds. Powers, as well as new types of gear, software and weaponry! most popular tablets, smartphones and computers! 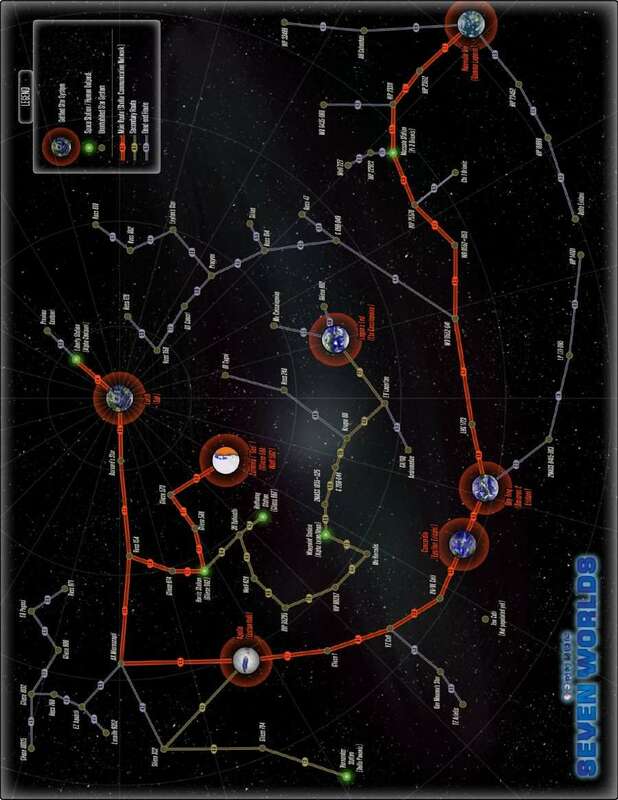 This download includes a 12x18" poster-size PDF with the Seven Worlds full starmap. Use it with your players to plot travel routes across the Seven Worlds!